July 25, 2014. Volunteer Kathryn Keefe writes about her last week (and month) in Cameroon. 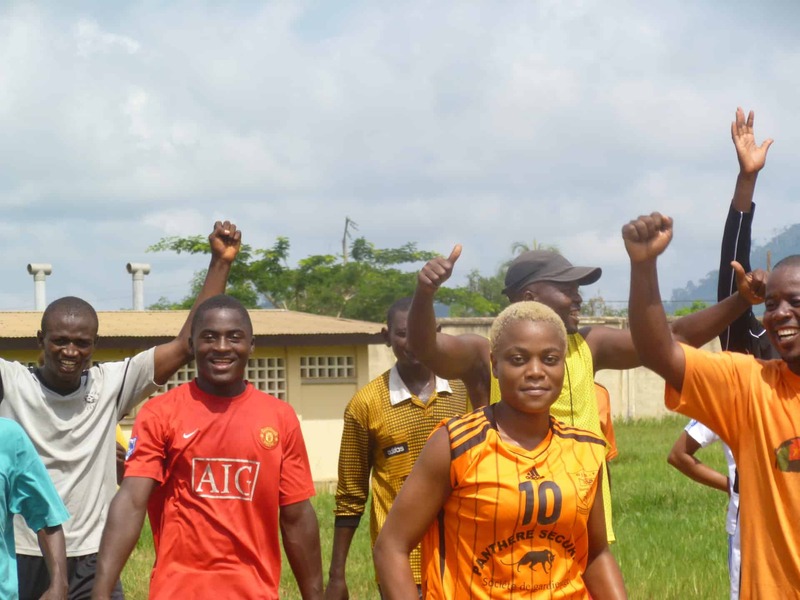 Our last week of Coaches Across Continents programs was spent in Kumba working with the Cameroon Football Development Program (CFDP). 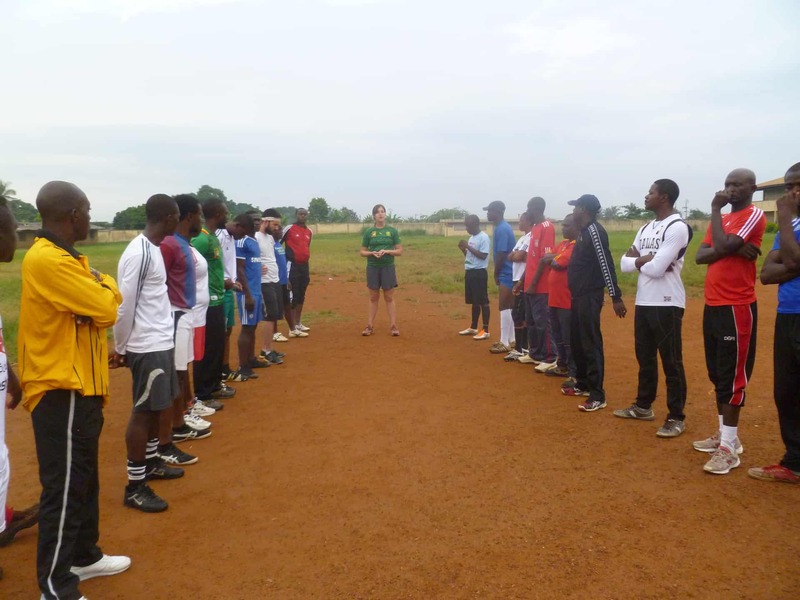 This was CFDP’s first year of training with Coaches Across Continents. Our mornings were spent on the field with close to 50 coaches, and our afternoons were spent welcomed into the homes of CFDP staff members, sharing a meal together, followed by various capacity building training sessions with the management team at CFDP. We focused on Monitoring and Evaluation, storytelling, and social media for these sessions. And, of course, our later evenings were spent watching the World cup matches! During our Coaches Across Continents sessions, were able to have some very rich and in-depth conversations with the coaches this week, specifically those conversations around gender equality and child rights. Both topics for conversation were clearly controversial and at times these conversations became very heated. I was impressed with the young peer-educators from CFDP who were apart of the CAC training. They engaged these issues critically issues and added depth to each conversation. Kumba exceeded all of our expectations. The CFDP team hosted a number of events during the week that we were invited to take part in. On our first night in Kumba, we were invited to the CFDP board chairman’s home for dinner, drink and conversation along with the CFDP management team. The board chairman’s name is Dr. Nzume and he along with his brother run a private, non-governmental hospital in Kumba. He shared with us his philospophy of community health and the importance of a holistic approach to development. He was approached by Justin, the founder of CFDP, several years ago and he fell in love with the work that CFDP is doing for the community. It was great to see his support and clear passion for the mission and work of CFDP and their partnership with Coaches Across Continents. This was one of several occasions that the Cameroonian warm hospitality was extended our way this week. We were sad for this week to end, not only because it meant that we had to say goodbye to this beautiful town and the wonderful people we met in Kumba, but also because it meant that we had to say goodbye to Cameroon and prepare for our departure and travels back home. Before arriving in Cameroon, Josh had told me that it would be near to impossible to expect what was ahead on this trip, and he was right. 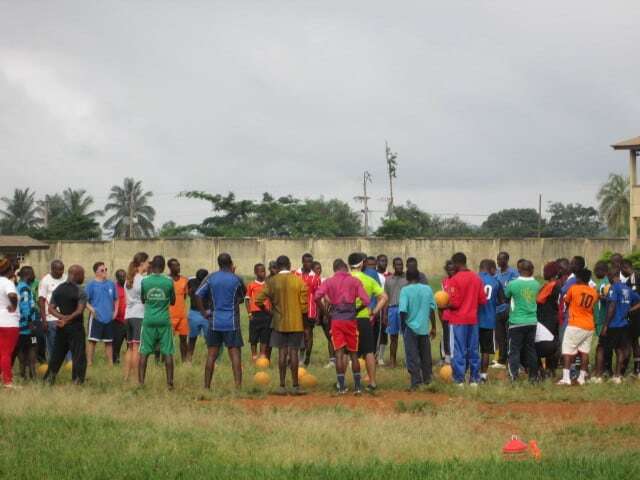 My month spent in Cameroon with Coaches Across Continents was challenging and it was hard, but it was also one of the best experiences of my life and I would not trade it for the world. The memories I formed with both my teammates and coaches from our partnering programs are ones that I will carry with me for the rest of my life. Thank you, Cameroon, for the trip of a lifetime, and thank you, Coaches Across Continents, for making that possible.